Driving a commercial van like the Dodge RAM Promaster City can be challenging. A vehicle with that kind of build can have sizeable blind spots and poor visibility, making it hard to park or back out safely. 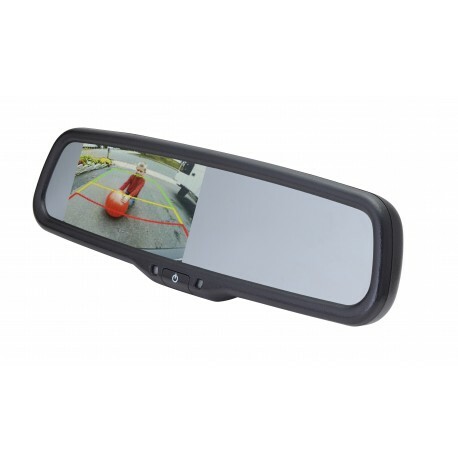 This 4.3” mirror monitor is designed especially for the Dodge RAM Promaster City. Simply replace the factory mirror with the PMM-43-PMC-PL, and you’ll have a live video feed available from front, side, or rear cameras. With dual video inputs, you can attach up to two EchoMaster cameras for comprehensive visibility and better safety. With built-in adjustable parking lines, you can see exactly where you’re headed, helping you make gradual adjustments to avoid running into nearby obstacles. With the PMM-43-PMC-PL mirror monitor, driving your commercial van has never been easier.